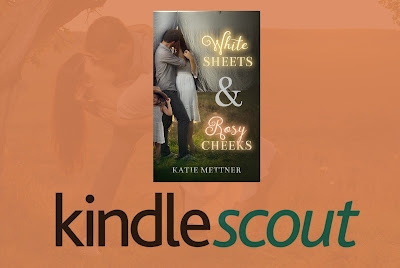 Author Katie Mettner: White Sheets & Rosy Cheeks Kindle Scout Nominee! 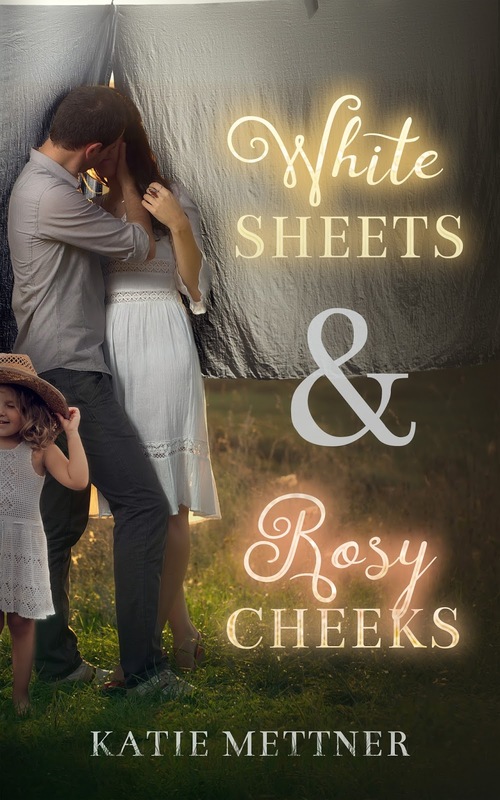 White Sheets & Rosy Cheeks Kindle Scout Nominee! 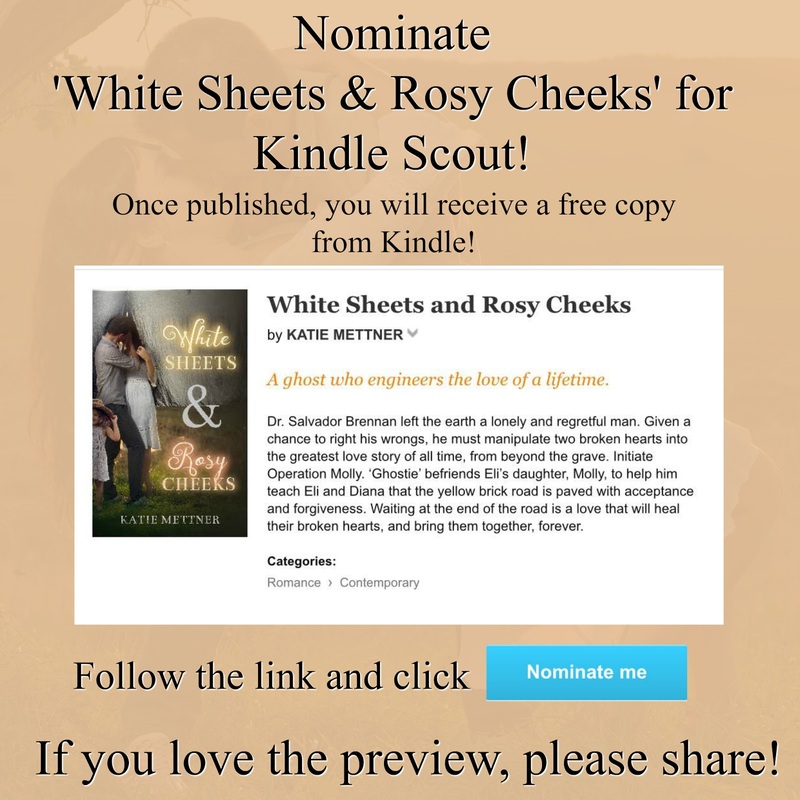 Nominate White Sheets & Rosy Cheeks for Kindle Scout! Surprise! I've been working on a secret project the last few weeks and I'm ready to reveal it. My new novel, White Sheets & Rosy Cheeks is now available to be nominated for Kindle Scout! Dr. Salvador Brennan left the earth a lonely and regretful man. Given a chance to right his wrongs, he returns to Bearsfield, Wisconsin, to manipulate two broken hearts into the greatest love story of all time, from beyond the grave. The first step is convincing his nephew, Eli Sheets, to leave his life in Michigan and move to a tiny town in Wisconsin. Having put the plan in motion before he died, he bequeathed his rundown house to Eli, with the hope that time had healed his wounds. Eli and his three-year-old daughter, Molly, arrive on a late spring afternoon, and Uncle Sal wonders if Eli sees the peeling paint and sagging porch as a way to put the past behind him. When Eli meets his next-door neighbor, Diana Forrester, does he catch a glimpse of his future? ‘Ghostie’ befriends Molly, and together they teach Eli and Diana that the yellow brick road is paved with acceptance and forgiveness. Waiting at the end of the road is a love that will heal their broken hearts, and bring them together, forever. 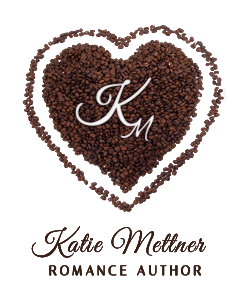 Nominating a book for Kindle Scout is super easy! Follow the link and it will take you to the page for White Sheets & Rosy Cheeks. I've shared a short blurb, answered three questions about the project, and shared the first 5,000 words there for you to read. If you want to read the book, sign in to your Amazon account and hit the 'nominate me' button! That puts White Sheets & Rosy Cheeks on your dashboard. As long as it is still there when the campaign ends, if they choose it for Kindle Press, you'll get a free copy before it's released to the public! Thank you for stopping by and I hope you enjoy getting to know Eli, Diana, Molly, and 'Ghostie Dan'!